The event will be held on Sunday 5th and Monday 6th May, 10am – 5pm. Let’s make 2019 a great success. To all Residents, Businesses and Organisations we are hoping for as many Scarecrows as you can make. Miniature World Display – Vouchers for – ‘The Works’ & Bottle of Prosecco. Paper Craft Displays – Book Vouchers & Bottle of prosecco. With the warmer months now approaching, it would be a good time to start making your scarecrows and your wonderful creations. We have quite a few Garden/Garage sales entered already they will be all around the village on both days, so residents please don’t forget to sort out your unwanted items in time & get ready to sell to all the visitors that return to this annual event time & time again!! If you have anything that you no longer want and would like it out of the way, please contact us to arrange a collection. ~ We also welcome donations of prizes that we can use throughout the weekend. 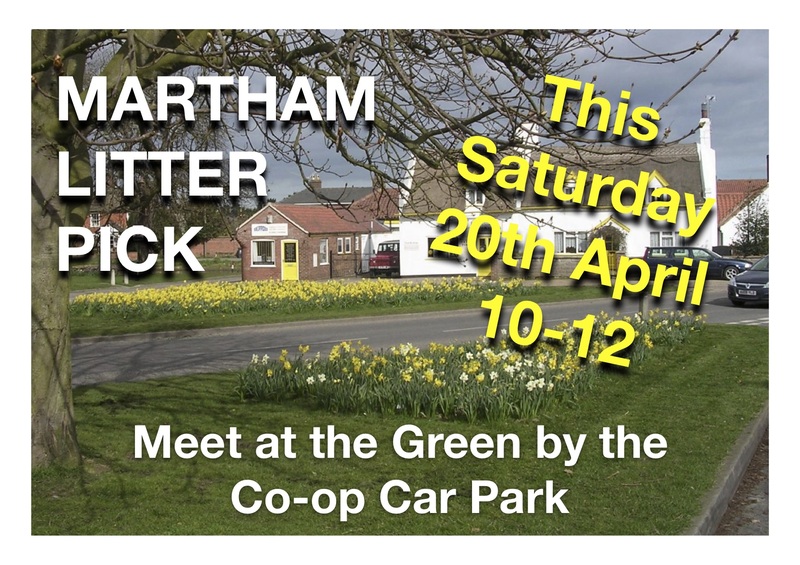 Registration Forms have now been posted through every door in Martham. We are accepting Visiting Scarecrows, so if you don’t live in the village and would like to enter you still can. All Visiting Scarecrows will be positioned on the Village Green. There will be a variety of stalls on the village greens over the two days, and not forgetting the Treasure Hunt for all the family to enjoy too. We have some demonstrations over the weekend by 901 Marine Cadets, Chain Saw Carvings, Dragon Stage School and a re-enactment by The Vikings/Saxons. Gray’s Family Fun Fair on the main Green. St Marys Church will be holding an Art exhibition, weather permitting the Church Tower will be open to climb and Refreshments will be available. Miniature World and Paper craft Competition at Cornerstone Baptist Church, they will be open for Refreshments both days. Flower Festival at the Methodist Church with the Theme ”People” Refreshments will be available. Free Car Parking provided until 6pm at Martham Academy & Martham Playing Field. Money raised at this event will be used for village projects. In the past the money has been able to support Martham Community Centre, Martham Youth Club and the purchase of Christmas lights and new seating for the village green. For more information regarding the Scarecrow Festival for 2019 please send us a message on our Facebook Page or call Laura on 07340782884 or Corrine on 07880507532.